Christmas time! Eat clean and train hard? or relax and get fat? It seems that my entire news feed has two completely separate opinions, one half is telling me to eat clean and the other half is telling me to relax and get fat. So, at this time of year I do what everyone does, I ask myself the age old questions "WHAT WOULD FATHER CHRISTMAS DO?" Or Santa Claus for my American fans. Then the answer is obvious, you do a bit of both! You think Santa is going to avoid eating the milk and cookies the children leave out for him? HELL NO! He eats those milk and cookies, jumps on his sleigh and cracks open a nice cold bottle of Coca Cola. However..... Father Christmas knows that he needs to work on Christmas eve and he needs to be fit for it. He knows that Mrs Claus's parents are coming over and he wants to not look fat, he knows that he needs to set a good example to all the elf's that are grafting for him. Remember if you can't look after yourself, you can't look after everyone else. He knows that last year rudolf gave him an ear full after "dragging his 44% body fat all over the world”. He knows that when he ate total junk food he felt tired and accidentally missed a couple of houses, this explains why I didn't receive Golden Eye for the my Nintendo 64 back in 1997. 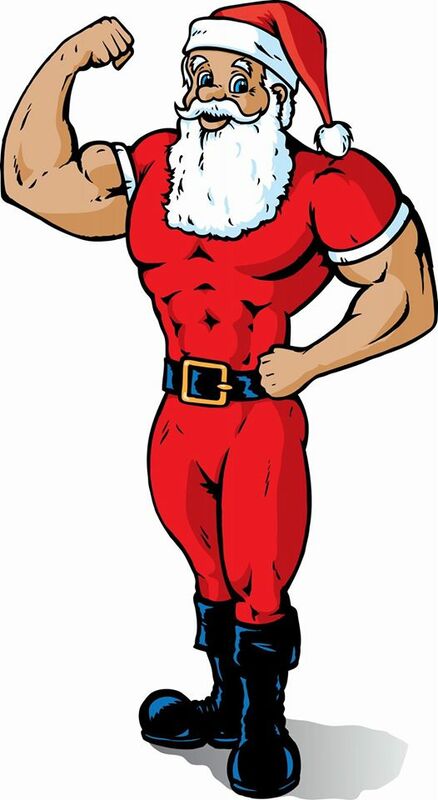 Father Christmas knows all this, and that's why this year he is looking better than ever, 1,746 years and only 9% body fat, a true inspiration. Lets all try and be a bit more like good old Saint Nicholas this year.